After a five hour train ride from Barcelona, we're finally in Seville. Seville has the charm and warmth of the old and ancient. The streets are narrow like the ones in Rome, but the people are a lot more laid back and friendly. 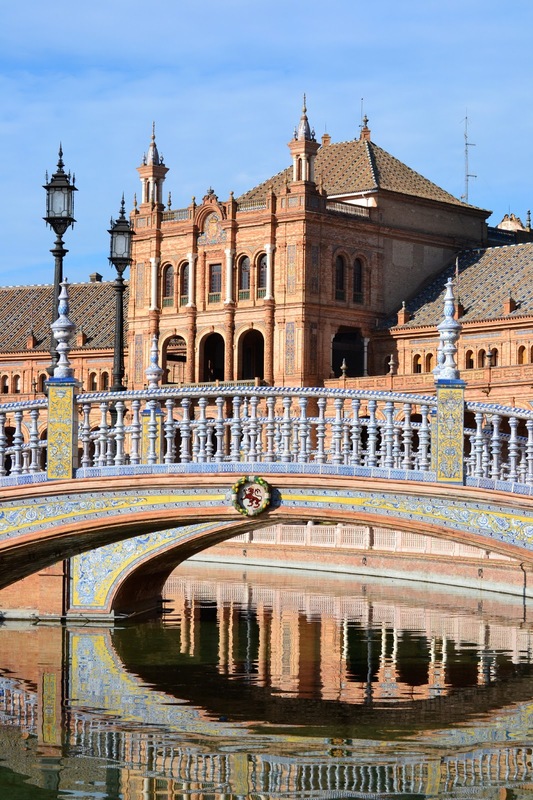 While Barcelona offers the convenience of the city, Seville, although it is starting to be urbanized in some areas, still offers the comforts of the old country. 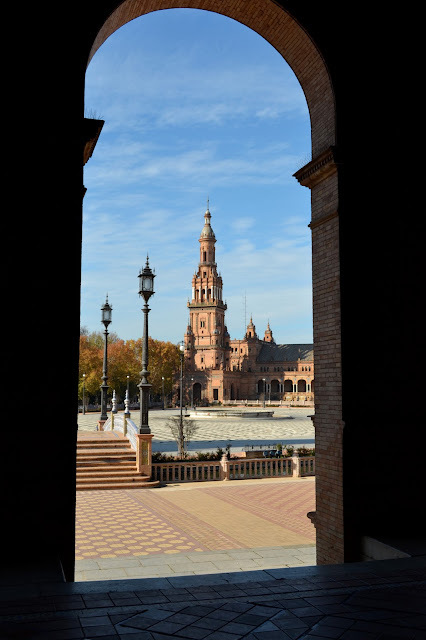 One of the highlights of Seville for me is the Plaza de Espana. You can tour the plaza by foot or by horse drawn carriage. The plaza is in the Parque de María Luisa. It was built in 1928 for the Ibero-American Exposition of 1929. 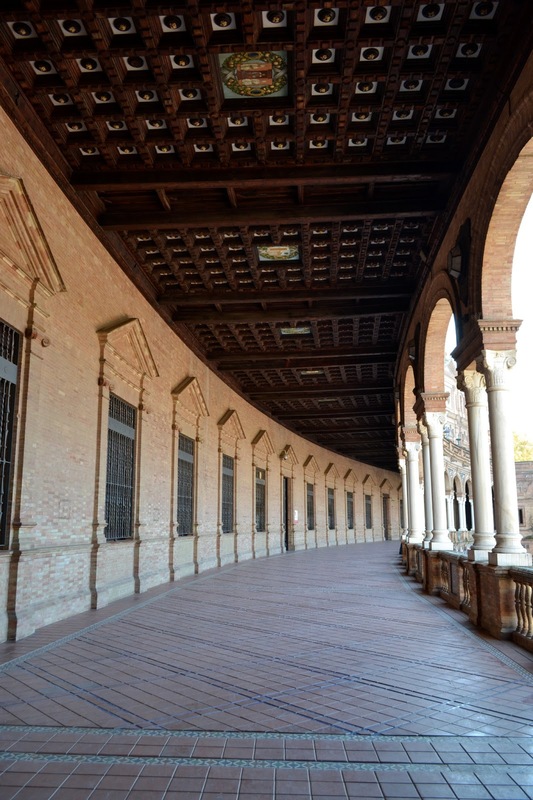 The plaza itself is a landmark example of the Renaissance Revival style in Spanish architecture. You'll see a lot of this Moorish designs around the building, as a sign of the Moorish revival in architecture. 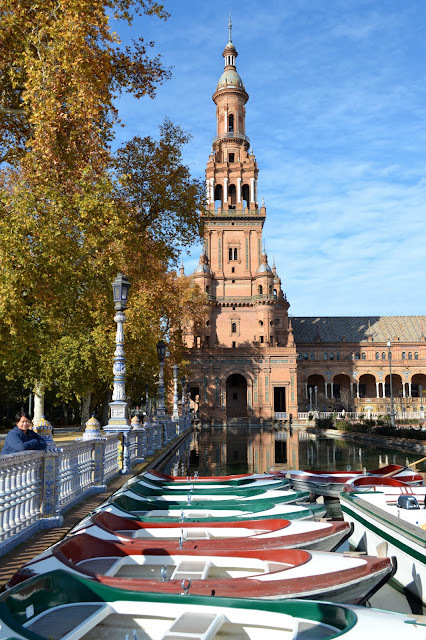 You can also ride one of these boats for a fee to go around the plaza. The halls were quiet that day we visited. 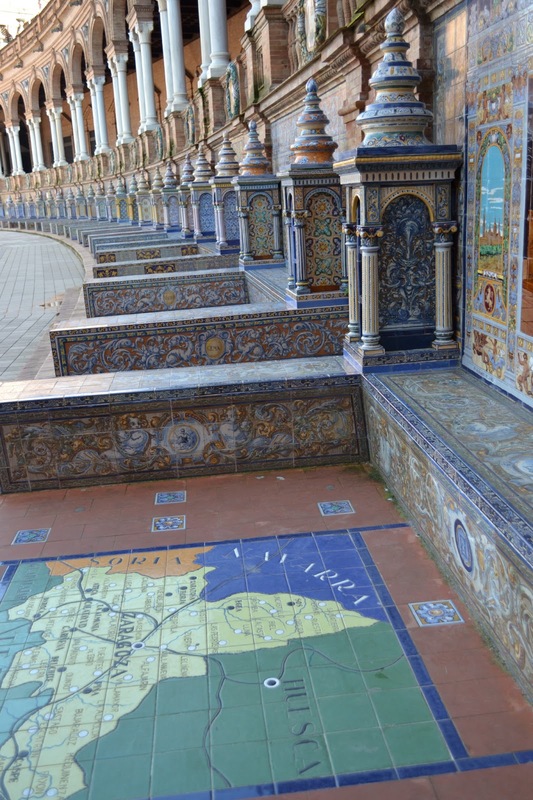 These are the tiled "Province Alcoves" along the walls of the plaza. The reflections on the water made it a great day for photography. We were so lucky. If I were a sketch artist or a painter, this is the place I'd be spending my mornings and afternoons. If I were thinker, this is the place you'd find me all day and all night long. 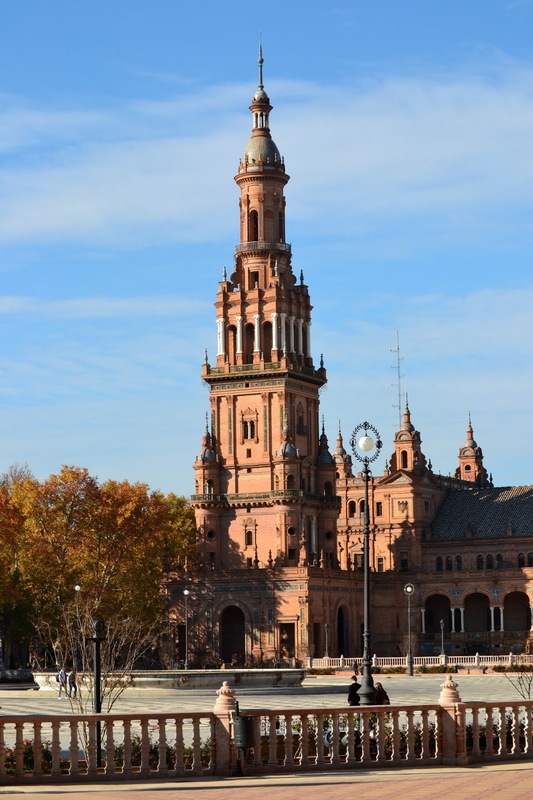 This is one place in Seville, among many, that made me closer to the old Spain. did you go off season? why was the plaza almost empty? of course i'd prefer it that way if i were there, so i coud shoot unobstructed. i enjoyed the tile works in the alcove; that's an architectural detail/style that i adore a lot. was this a day trip or did you spend a few days here? yes, it's off season when we were there and we like it that way. it was also much cooler. we stayed in Seville for five days, and we really enjoyed our stay there. ... how's chemo? or are you doing chemo? i tilted my head a bit to read the place names on the 'tiled province alcoves.' ang ganda no? do they have them for the different provinces? sometimes i find myself just staring at a map and dreaming of the countries that i wish to go to next. my dream of going to spain has started to become a nightmare. i will tell you more about it through FB. how lucky you'd travel much seeing such beauty things. Beautiful! The place and your photos. wonderful photos Kayni! :) lovely! Looks quiet there. Beautiful place.